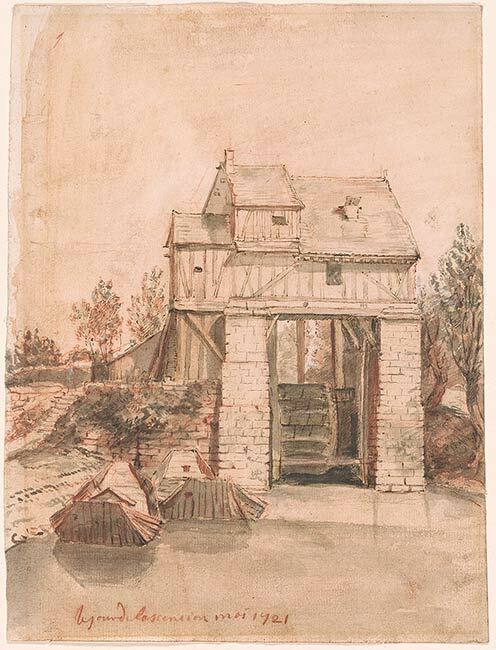 Pen and black ink, red chalk, with gray and red chalk washes and touches of white tempera and graphite on paper. Gift of Mr. Robert O. Anderson and Mrs. W. Rodman Fay. Inscribed at lower margin in artist's hand in red chalk, "le jour de lascension mai 1721". Sale, London, Christie's, 8 December 1976, lot 80. Watermark: fragment of elaborate coat of arms.